Better hearing and a better quality of life can be yours for many years with the help of the right hearing professional. At Hear Virginia, we pride ourselves on developing long-term relationships with our patients. Relationships based on unsurpassed personal service that begins the first time you walk through our doors and continues long after your initial appointment. Call us today at 804-477-1630. Dr. Lori earned her doctorate in Audiology from the Arizona School of Health Sciences/A.T. Still University. She graduated from the University of Virginia (B.S.Ed. in Speech Pathology/Audiology) and the University of Tennessee (M.A. in Audiology). Dr. Lori is nationally certified in Audiology by the American Board of Audiology as well as the American Speech Hearing Language Association. She also holds Virginia licenses as an audiologist and hearing aid specialist. 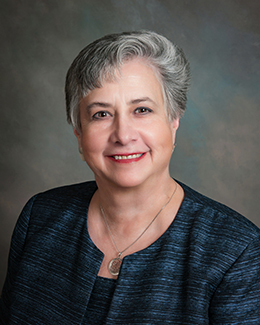 Dr. Lori began her professional career forty years ago as a staff audiologist then audiology supervisor at the Medical College of Virginia Hospitals where she helped establish the first hospital hearing aid dispensing program in Richmond. 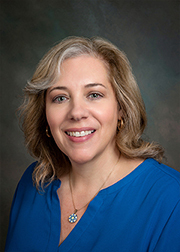 In 1992, Dr. Lori left MCV for Sheltering Arms Rehabilitation Hospital and later worked at Maico Hearing Aid Service. In 2003, Dr. Lori turned a life long dream into reality with the establishment of our company, Hear Virginia LLC. Dr. Lori’s extensive expertise in hearing technology, rehabilitation, and demonstrated commitment to optimal patient-centered care provide a solid foundation to find practical solutions to improve hearing–and quality of life. Dr. Lori also provides voluntary Audiology services in the greater Richmond area as well as being part of “remote area medical” teams that travel to Appalachia and Southwest Virginia. 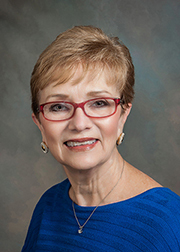 Dr. Lori is a member of the Advisory Board of Deaf/Hard of Hearing Advocacy and is a past member of the Board of Directors of the Audiology Foundation of America. She lives in western Henrico County where she spends much of her free time planning, sewing , and completing quilts—including many of the quilts displayed in our office. 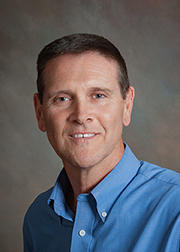 Thom joined Hear Virginia in 2008 as a part-time audiologist. Thom earned his Master of Science degree in Audiology from Bloomsburg University and his Bachelor of Science degree from Wilkes University. Thom has provided audiology services at Southside VA Training Center and was an audiologist at Sheltering Arms Rehabilitation Hospital. We are very pleased with Thom’s addition to our staff. To date, he reports that he finds it very easy to work in our “female” dominated office. Connie Miller joined the Hear Virginia team in June 2017 as a part time hearing aid specialist. She earned her undergraduate degree in Speech Pathology and Audiology from Bowling Green State University and her Master’s Degree in Audiology from the University of Virginia. She first met Dr. Lori nearly thirty years ago when Connie was completing an internship at the Medical College of Virginia Hospitals and Drl. Lori was her supervisor! Shortly thereafter, she met Gail Duncan who was the receptionist at her first post graduate job with Maico Hearing Aid Service! Connie later went on to work for several years with a large ENT (Ear, Nose, and Throat) practice in the greater Richmond area. After having two sons, she left hearing health care to raise her child and to run a family business with her husband in Chesterfield County. Having returned to the profession, Dr. Lori, Gail, and Hear Virginia were a natural fit! On a personal note, Connie loves to go RVing and enjoys collecting (and wearing) vintage costume jewelry. Gail served as Secretary at Maico Hearing Aid service for eighteen years. Besides being the best greeter in town with the best smiles around, Gail is known for her ability to arrange convenient appointments and speedy service–especially during any unfortunate hearing aid “emergency.” Gail regularly helps our patients through the maze of determining if they have hearing and hearing aid benefits. When asked, Gail is happy to call your health insurance company to obtain detailed specifics of any available hearing/hearing aid insurance coverage. Dr. Lori’s English springer spaniel (Isha) was our first “nice” president of public relations and greeted our clients until her final decline in August 2006. Although Dr. Lori promises that there will be another “nice” president one day, she just has not found the right successor to this kind and gentle animal.